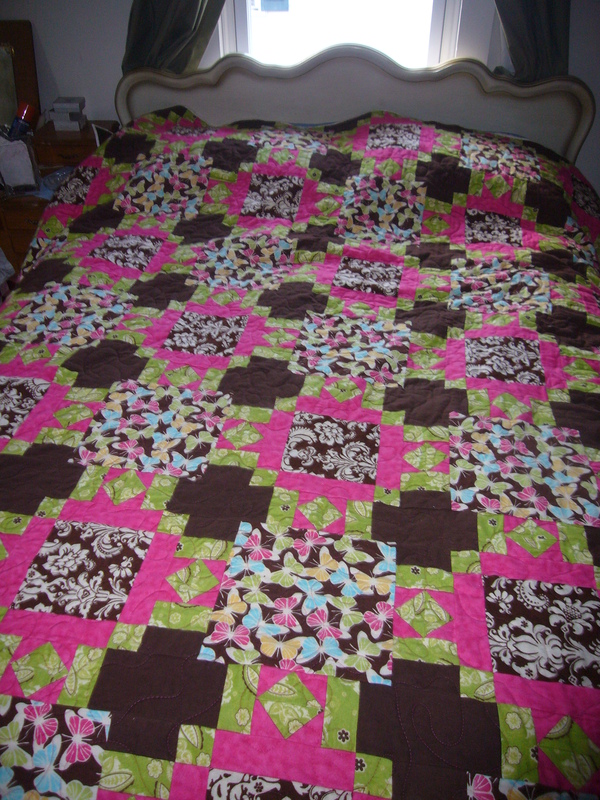 Last fall I decided to make bed size quilts for Dean’s siblings instead of baby quilts when they have a baby. They will probably only receive one or two big quilts this way, but I think that they probably already have plenty of baby quilts/blankets. I finished the first quilt over the weekend. It is made from flannel and will fit a full size bed. Dean’s parents are on their way to Missouri. They will deliver it to Dean’s sister, Tina and her family. They had their 8th child either on Oct 31st or Nov 1st. I never can remember.